Yup, tomorrow is Thanksgiving. It's a busy week for sure! But if you did have a chance to read Number the Stars with us this past month, and if you wrote up a post documenting your thoughts, now is the time to share! Below are Heather's concluding thoughts (interesting to read) and below that is the comment section where we invite you to leave your own thoughts/share links about this book. 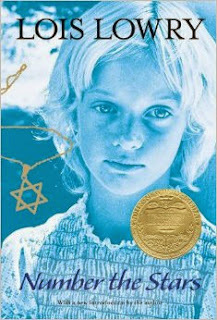 I’m happy to report that Number the Stars by Lois Lowry was just as powerful and beautiful as it was when I first read it. Carrie rightfully pointed out in her review that it is probably stretching it to call Number the Stars a classic, but I actually didn’t think of that until just now when I read her review. Which brings up a whole new topic. What IS a classic? Is it just age or is it something else? Some real sticklers might say it’s the actual classics: Aristotle, Ovid, etc. But I’m inclined to use some sort of vague age/worthiness factors to determine what is or is not a classic. Anyway, Carrie is right, I’m not sure this qualifies at least as far as age. It is only 25 years old. However, I think one can make a case for Number the Stars’s inclusion in the classics book club based on worthiness. The story gets its name from Psalm 147 which in my bible says, “He determines the number of the stars; he gives to all of them their name.” But the theme of the Psalm is God healing the broken-hearted and speaks of a God who is in control and “casts the wicked to the ground.” It’s a powerful Psalm and I recommend reading it with this story in mind. Or reading Number the Stars with this Psalm in mind. Number the Stars is the story of the Danish resistance to the Nazi occupation told from the point of view of ten year old Annemarie Johansen. Annemarie encounters the harshness of the world around her when her Jewish friend Ellen and her family are forced to leave Denmark in order to escape the “relocation.” Annemarie is a typical little girl and not particularly brave, but somehow she finds a way to overcome danger in order to do the right thing for her friend and her friend’s family. We find out later that a few people in Annemarie’s life, unbeknownst to her are members of the Danish resistance. While all of the characters are drawn from the author’s imagination, there were a surprising amount of documented facts in this book. I actually was almost more moved by the Afterword from the author than I was from the story itself. Which is saying something because I was quite moved by the story. Denmark was like little Annemarie herself. Overcome with the vastness and cruelty of the world, the Danish people managed to do what was right in the face of danger. I have to say in my study of Nazi Germany and Nazi-occupied France, I haven’t looked very much into Denmark’s occupation. I now would really like to know more. I didn’t initially know that an overwhelming majority of Denmark’s Jewish population was saved, partly through the efforts of a German (yes, that’s not a typo) official who leaked a warning to a rabbi from Copenhagen, and partly through the unified effort of the Danish resistance. Most of the Jews were taken to Sweden in boats by fishermen who also were linked with the resistance movement. In order to avoid canine detection the fishermen carried handkerchiefs laced with rabbit’s blood and cocaine, a mixture which initially attracted the dogs and then numbed their sense of smell. Genius! Also, the Danish people actually did destroy their entire Navy after they were occupied. They wanted to keep as much power as possible out of the Nazis hands. You just feel like standing up and cheering for these people. This is the exact type of story I like. It’s a story of one small spark of hope in a very dark world. There is fear and brokenness and absence surrounding Annemarie, but there is bravery and there is human decency too. It is one small story that promises other stories of sacrifice and bravery from everyday people. In the Afterword, the author presented a fragment of a letter from one member of the Danish resistance, named Kim Malthe-Bruun, (possibly Lois Lowry based the character of Peter Neilsen on him) to his mother the night before he was executed by the Germans. I’m just going to put the whole thing on here as the conclusion of this review because it was so good. Well, my girls and I didn't get around to reading this one, but we WILL read it. 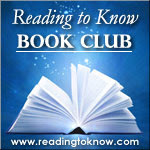 I can't resist linking again to my review of The Yellow Star by Carmen Deedy. It's about King Christian X of Denmark and would make an excellent companion to this novel! I'd love to read that book by Deedy. Thanks for sharing that information. I was, uh, not really paying attention to anything outside the walls of Via Christi St. Joseph hospital's NICU during the month of November, so I didn't read this one - but it sounds WONDERFUL. I'm going to put it on my library list now. Excellent review.